Surathkal June 07, 2016: A minor girl who had been on shopping with parents kidnapped. The incident took place on June 06, Monday in Surathkal. The family hailed from Mumbai. They were staying in a house in Kattipalla from past six months. The girl had been to Surathkal for shopping with her family. After shopping the parents noticed the daughter missing. They searched for her everywhere but their effort went in vain. 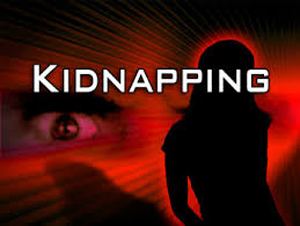 The kidnap case had been lodged in Surathkal police station by victim’s parents. The CCTV footage in a nearby shop shows the girl travelling in a rickshaw. The police arrest three persons in regard to the case. The investigation is going on in Surathkal police station.